These weekly after school workshops cover physics, chemistry and biology. Open to youth ages 7-12 at the Musqueam Community Centre. These weekly after school workshops cover reading, writing and public speaking. Open to youth youth ages 7-12 at the Musqueam Community Centre. Learning activities in the garden are carried out during Math and Science/Reading Club programming. Open to youth ages 7-12. This annual competition is open to youth 5U-21U. Come out and cheer on your favourite team at the Musqueam Sports Field – rain or shine! 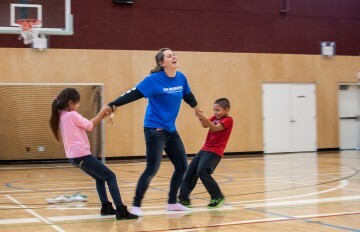 These weekly social events include workshops at the Musqueam Community Centre and field trips in the Vancouver community. Open to students in grades 8-12. These weekly tutoring sessions are offered at the Musqueam and UNYA community centres. Open to students in grades 8-12.